Docetaxel is taxane-type antineoplastic agent structurally similar to taxol. It reversibly binds to polymerised tubulin inhibiting depolymerisation. 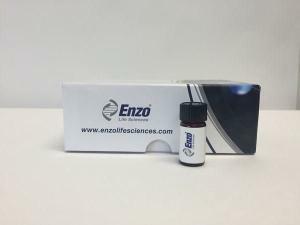 It induces apoptosis in a large number of tumor cells and is a clinically important anticancer agent. Stabilises microtubules. Soluble in DMSO (25 mg/ml) or 100% ethanol (25 mg/ml).